3 Bread Textures, Cookie and Pasta dough setting for Home made Cookies and Pasta. Its compact design also makes it ideal for kitchens with limited countertop space. The Home Bakery Mini makes it easy to prepare a wide variety of breads, cakes, and fresh fruit jams as well as doughs for rolls, croissants, pizza, pasta, cookies and more. 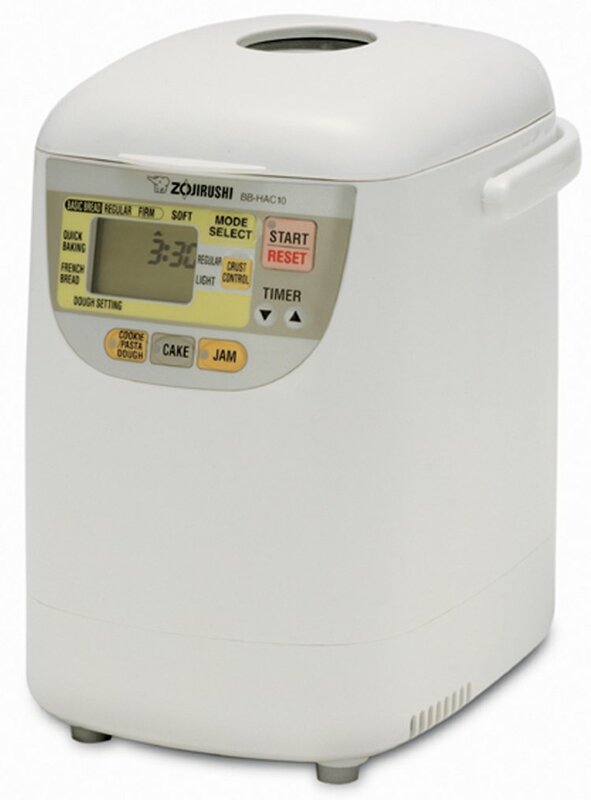 This machine has three bread textures that you can choose from: Regular, Firm or Soft. Another new feature unique to this model is the cookie/pasta dough setting to prepare homemade cookies and pasta. It also has settings for french bread, dough, cake and jam. To Recieve updates and possible rewards for Zojirushi BB-HAC10 please sign in. To Recieve updates and possible rewards for Bread Maker please sign in.